CLOSEOUTS. 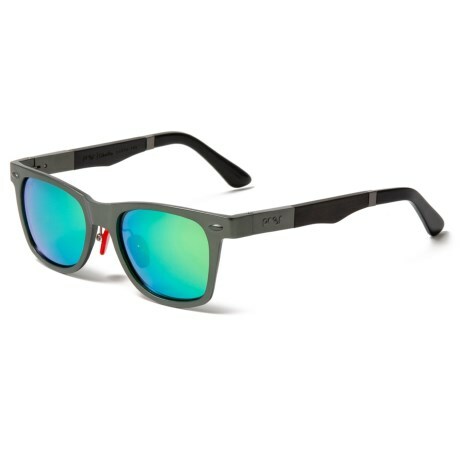 A perfect melding with Nature, Proof Eyewearand#39;s Challis mirror sunglasses feature authentic wood temples and a quality-crafted, trapezoidal aluminum frame. Available Colors: GUNMETAL/SKY. Sizes: O/S.